Who are The Freelancer Club? Luckily this isn’t Fight Club, but The Freelancer Club, so let’s talk all about it! We caught up with the MD Matt Dowling for a quick chat. So tell us all about The Freelancer Club, how did it all start and who is involved? The Freelancer Club was setup by myself [Matt Dowling] and Nina Malone, a photographer and model respectively. Both of us came from a creative background with no business experience, battled the freelance world and won (just). I had a bad experience with an established company who took advantage of my naivety and left me out to dry with an £11,000 invoice. It made the papers and others came forward with similar stories. Although a low point, it sowed the seeds for The Freelancer Club. The Club offers creative freelancers access to paid jobs – we don’t post unpaid work, an online profile to showcase their portfolio, networking opportunities online and at events, masterclasses for freelancers, co-working space called ClubHouse (currently in London Fields and Camden), free legal advice and a bunch of other resources to help support freelancers. 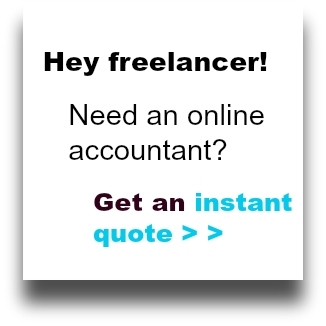 There does seem to be a growth in freelancing. How important would you say it is to have a support community around you when freelancing? It’s vital. Freelancing can be a lonely pursuit and to have a community of peers who are going through the same challenges really lightens the load. More so, it’s such a collaborative industry that a networks like ours facilitate new relationships every day. A big part of The Freelancer Club seems to be around networking, is that key to being a successful freelancer? I think so. We help thousands of brands connect with creative freelance talent and our community is benefitting from that. We’ve facilitated over 100,000 jobs in the past few years alone. There’s also a lot we can learn from one another so networking online and offline massively helps. What advice would you give to freelancers starting out who are considering working for free to get experience? DONT DO IT. We’ve been running our #NOFREEWORK campaign for 2 years and recently completed a nationwide survey on the impact of working for free. We’ll be releasing the data soon but the headline is that it’s destroying our industry, costs the freelancer thousands in the long run and devalues the individual. Freelancers in our sector (photographers, makeup artists, hair stylists, models etc…) can gain experience by test shooting which is another word for collaborating. No money changes hands, work is added to their portfolio and it’s a great way to gain experience not to mention make contacts. To offer an alternative to working for free, all members of The Freelancer Club are able to post and apply to as many test shoots as they wish for free. Cash flow can sometimes make or break a freelancer. Do you have any tips around getting invoices paid on time (or at least within the agreed payment terms) from clients? Send the invoice on the day of the job so that it’s in the mind of the employer. A recent survey showed that this technique dramatically increased on-time payments. Aside from that, clear communication from start to finish will often get you paid. What are the future plans for The Freelancer Club? We recently launched FreelanceAcademy.com, an online learning platform designed for freelancers. It provides short, interactive courses on all the main aspects of running a freelance business from writing the business plan through to branding, marketing, sales and growth. In addition to the Academy, The Freelancer Club will be rolling out to new international territories later in the year and going global. Previous post Where’s the best place to work?